Lost a family member due to someone's negligence? Act Fast. Call Newark's Trusted Wrongful Death Attorney for a FREE Consultation. 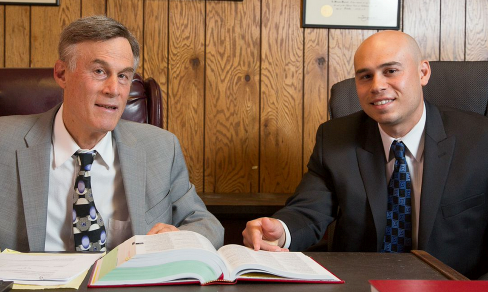 Why hiring an expert Newark Wrongful Death Attorney is an important matter? Dealing with the loss of a loved one can be an extremely tough and painful experience. If that loved one was killed in an accident, the family members may have a valid claim under New Jersey's Wrongful Death statute. Your wrongful death lawsuit is especially strong, if that decedent provided financial support for the family. New Jersey's Wrongful Death statute allows family members of the person killed in an accident to recover money for the financial support the decedent would have provided to his/her family. Also, wrongful death cases allow dependents to recover medical and funeral expenses. What are examples of wrongful death cases? Wrongful death lawsuits cover all fatal accidents where there is neglect by the business, organization or person. Below are just several of the areas covered by wrongful death settlements and lawsuits. If you have lost a family member or a loved one due to someone's negligence or wrongful conduct, contact the Personal Injury Lawyers of Fredrick Schreck Law Office for a free consultation. At the Law Firm of Fredrick Schreck, our highly competent Wrongful Death attorneys will fight for your rights and ensure that you will receive a fair settlement for your Wrongful Death case. * All inquires and consultations are with no obligation, free and 100% confidential. "For the past 30 years, Schreck Wrongful Death Lawyers have been assisting injury victims get fairly compensated for their pain and suffering. Proven history will aid your recovery and get you the maximum settlement."